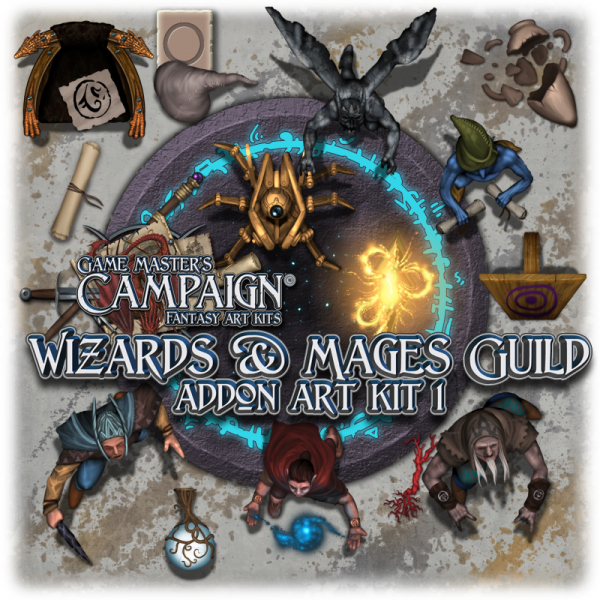 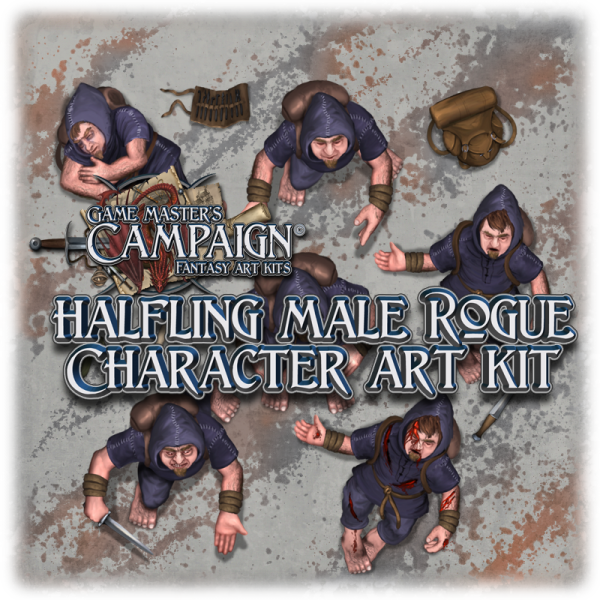 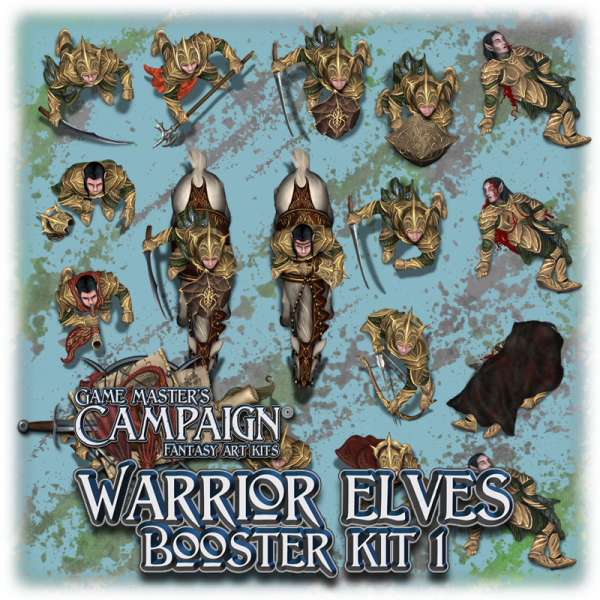 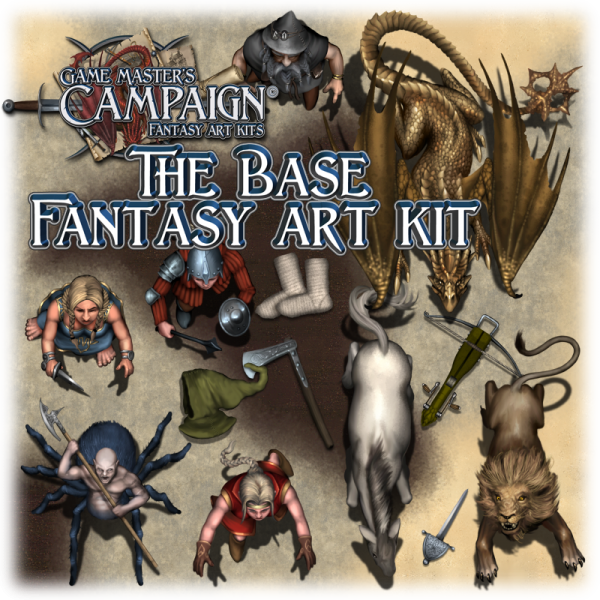 Art kits ready for purchase and use in your game projects or roleplaying game maps. 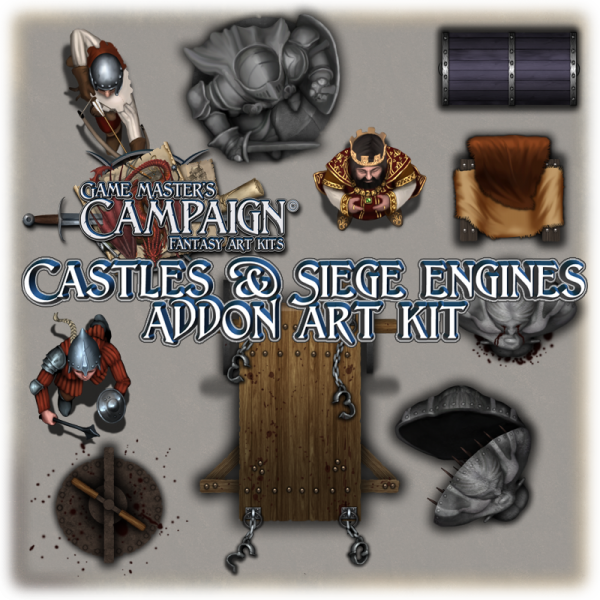 Each kit comes with artwork of various sizes and types with transparency. 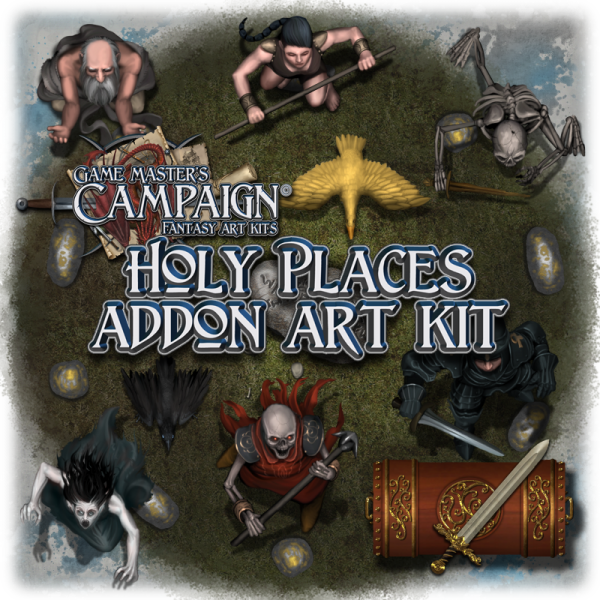 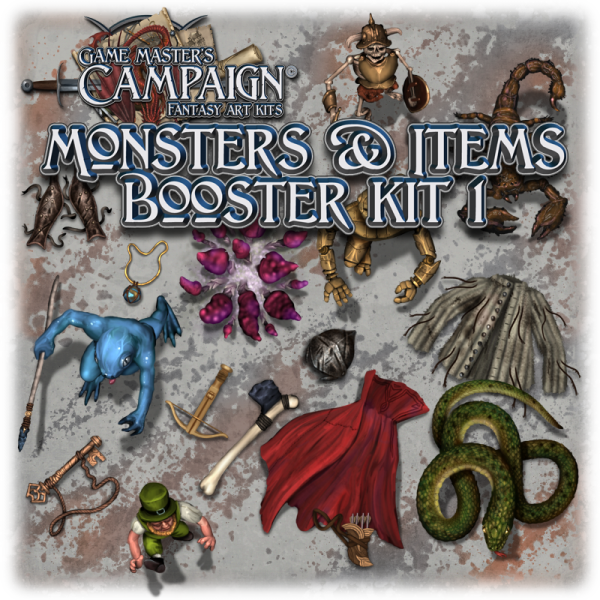 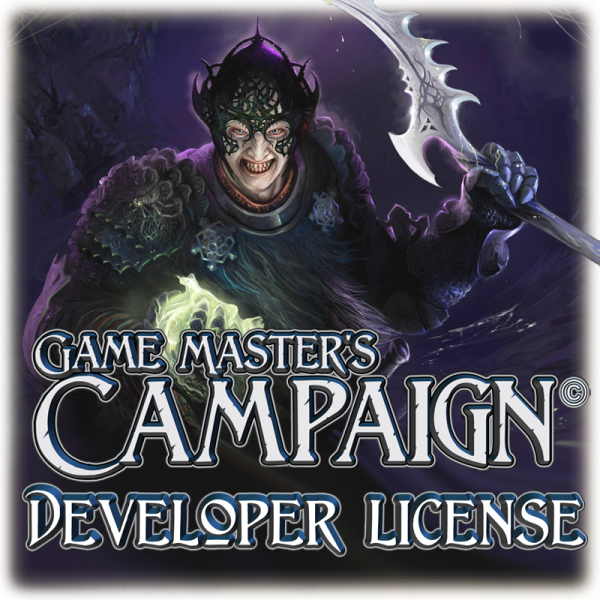 Art kits allow you as the game creator or Dungeon Master/Game master to easily create campaign maps and use the huge selection of creature, monster, animal and character tokens with your maps. 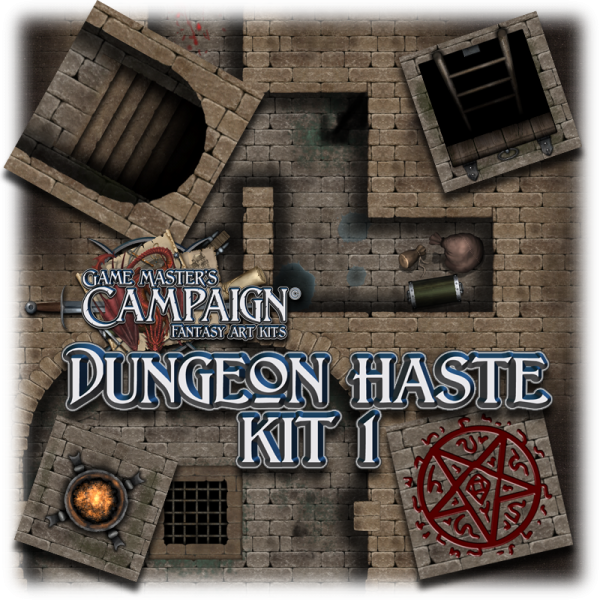 The artwork found in the GMC Fantasy/Sci-fi art kits allow you to build interior maps of houses, dungeons, castles, caves and more, as well as providing you with the means to create maps out in the wilderness. 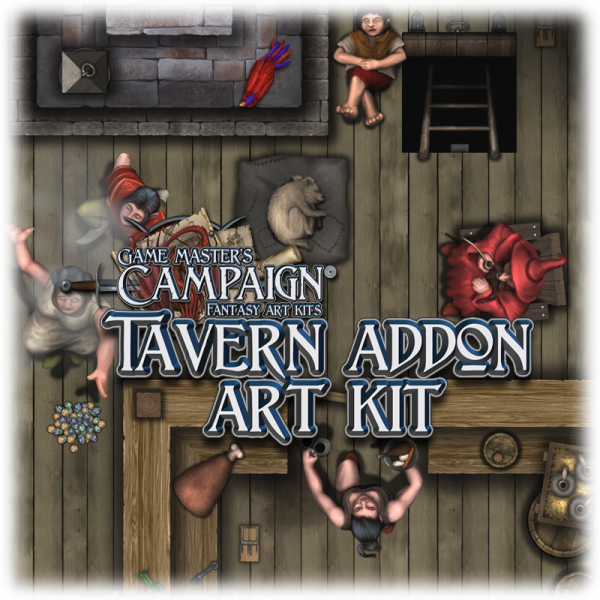 Common to all types of art kits are that they come split up in separate images, not packed as tilesets). 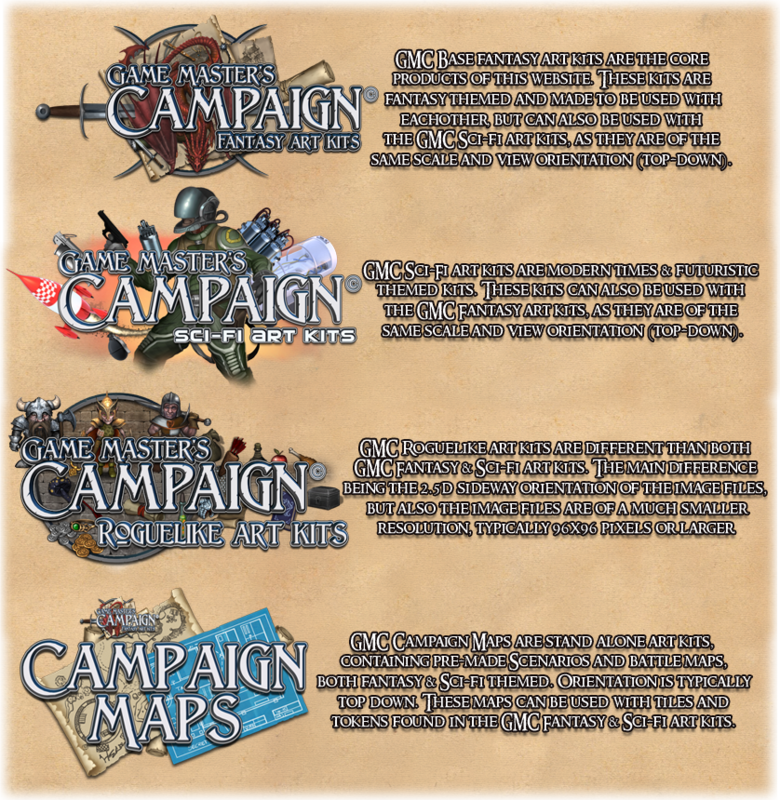 The Minimap art kit stands out from the rest of the series of art kits, allowing you to create maps and parchments in the style of of old treasure maps. 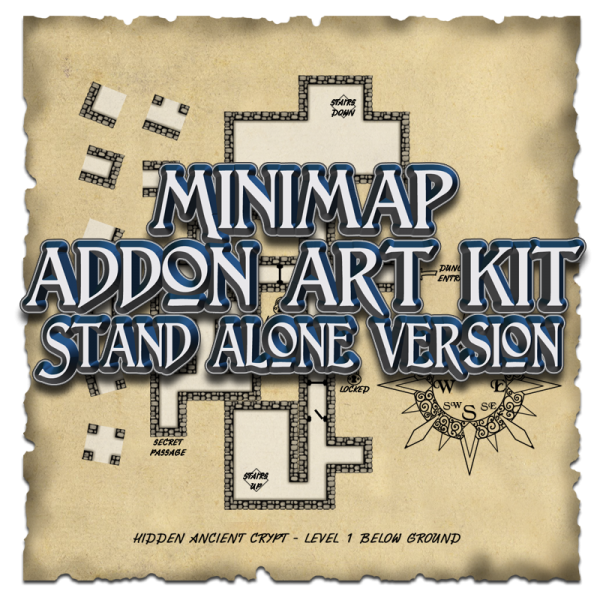 If you purchase the Base Fantasy art kit, that purchase also includes a copy of the Minimap addon art kit. 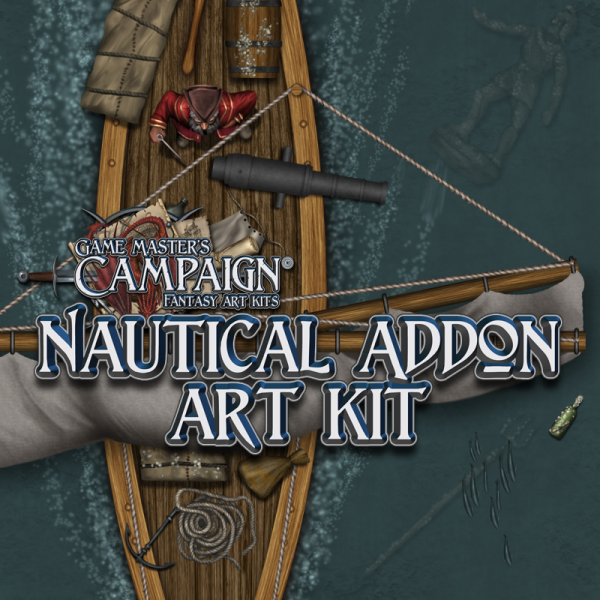 This purchase is for a digital download of several images, approximate size is 684 Mb in 4 zipped files.